Cold makes pretty. And Frozen. Arctic luxury (& winter running) in Ounasvaara, Rovaniemi. Where: Lapland January 23th 2019. Right, just when I said that the winter running walking trail’s the best for summer too in Ounasvaara, I found the new nature trail (marked with blue-white pine cone symbols) and let me tell you, that’s really the best for everyday running and hiking in Ounasvaara near Rovaniemi in summer. When starting and ending the tour in the city, the distance of the loop, added with the connecting trail past the view tower, is a bit over 10km (the loop itself about 4.5km). See the pics for the scenes. And yes, my shoes aren’t the best ones for these trails. But when I need to optimise my baggage (aka only hand luggage) and when some of the stuff is always in the other home I remember them to be (#nomadlife) this happens. Luckily the trails have been dry until the past days. Also, the clothing I have here is good for Lapland outdoors only if and when you wanna motivate yourself to keep on running without stops… The mosquitoes have no mercy and even though not carrying any diseases, they are annoying as f***. So better keep on moving or dress better when in Lapland. Since there was news again how the rescue missions are on the rise in the outdoors and wilderness areas in Lapland, and I’ve noted the poor state of the signalization myself and the cool pics in Instagram rarely tell the real, honest story, I want to advise you, if and when heading into the outdoors in Lapland, to take into an account how most of the outdoor areas in Finland, and especially in Lapland, really are wild. The networks of trails, unmarked paths and Instagram worthy places are tense in many areas, especially near the resorts, cities and towns, but many of them lack the services and signposts of i.e. the outdoor areas in the Alps. Locals know better when and how to go there safely, but even for them (a good example of which me), the reality can easily be confusing and overwhelming, causing unexpected problems. If something happens when you’re hiked into the outdoors 10km off the resort, or if you just grow tired, there’s rarely a shortcut nor signs to the civilization, nor a restaurant offering food, drinks and shelter for a good rest. Although many of the trails in Lapland are suitable for beginners and/or people with little experience, and easy to walk on (thank’s for the mellow tundra landscape), and some of them are marked clearly, offering an accompanying map and even the suggested hiking times, they many times aren’t as easy a task to tackle as they may seem at the first look and in curated Instagram feeds. Especially the trails in the national parks bring you easily far, far away from civilization and services. And to confuse you even further, despite the same managing organization for all the parks in Finland (Metsähallitus National Park Service) the trail markings, signalization and symbols etc. aren’t standardised as i.e. in Switzerland, and therefore the trail markings and map symbols differ from one park to another. In other words, most of the times tours require good preparation and some amount of general outdoors skills like orientation, map reading etc. to be done safely. No harm in hiring a guide for your tour either. In Lapland outdoors, it’s good to have an idea how to read a map, and how fast you walk/run 10km in varied terrain. It’s also good to keep some food and water with you, not to forget outdoors appropriate, wind and waterproof, warm and covering (for the mosquitos) clothing and good shoes. And before going, I’d suggest you consult carefully a local (recreation) information point, guide service or similar for more information and tips for a safe and fun tour. Outdoors in Lapland aren’t the hardest of the environments, especially in the summer, but it’s not called wild north for no reason. Pps. More detailed brief guide for outdoors in Lapland coming soon by me. 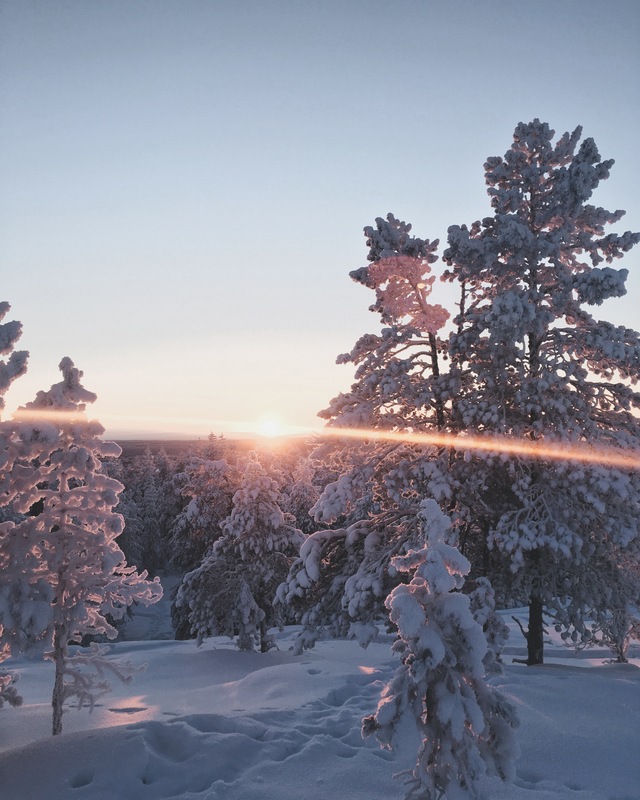 Until that, look for the Lapland and activities categories in the menu for more tips and inspiration.